Want it by Wednesday 24th April? Order within 2 hours, 18 minutes and choose Next Working Day - Kerbside Delivery (Order Must be Placed by 2pm) at checkout. The Balterio Magnitude Refined Oak 542 8mm is a light coloured oak board, which will complement the majority of interiors throughout your home. Providing warmth to the appearance of a room, this not only looks good but its qualities are excellent! Resistant to impact, abrasion, household chemicals and flame, this board is a must in those busy households. Chromezone technology marks the pores of the board turning the mat surface into a shiny, vibrant natural looking plank. This floor replicates the appearance and character of a solid wood floor. 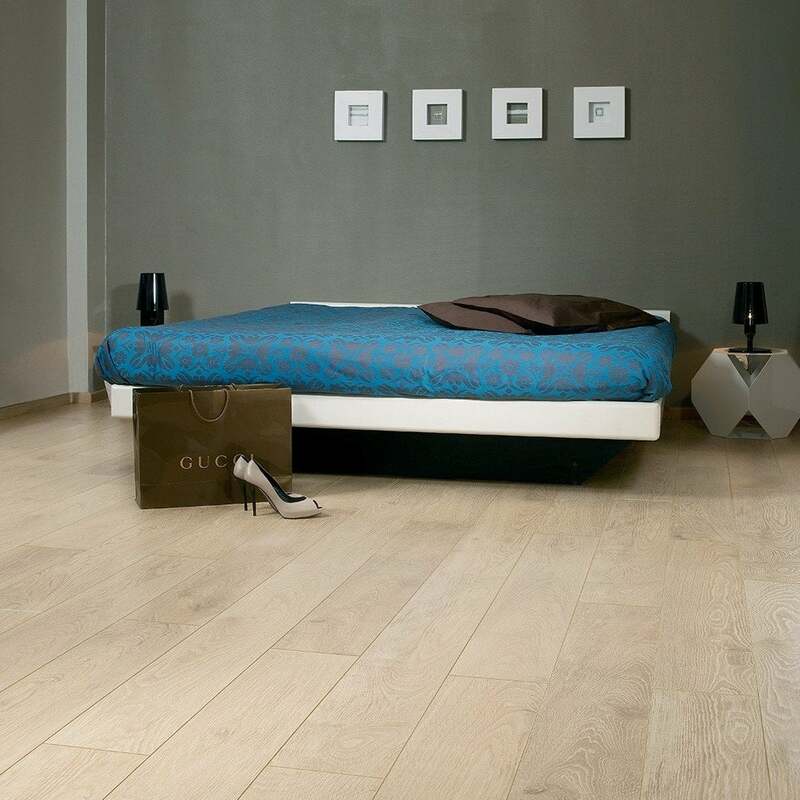 But in contrast has the superb durability of a laminate and can be installed easily. Due to the sheer quality of this Balterio Magnitude Refined Oak 542 8mm it is difficult to distinguish between this laminate oak and a real wood oak floor. Have this flooring throughout my bungalow, with one room left to finish the job. Ordered a small quantity to ensure I had enough to complete the job. Good quality flooring and a quick service.